The sample is in ivory cover with rose gold foil. The size shown is 12x12. Available foil colors: gold, silver, copper, and rose gold. 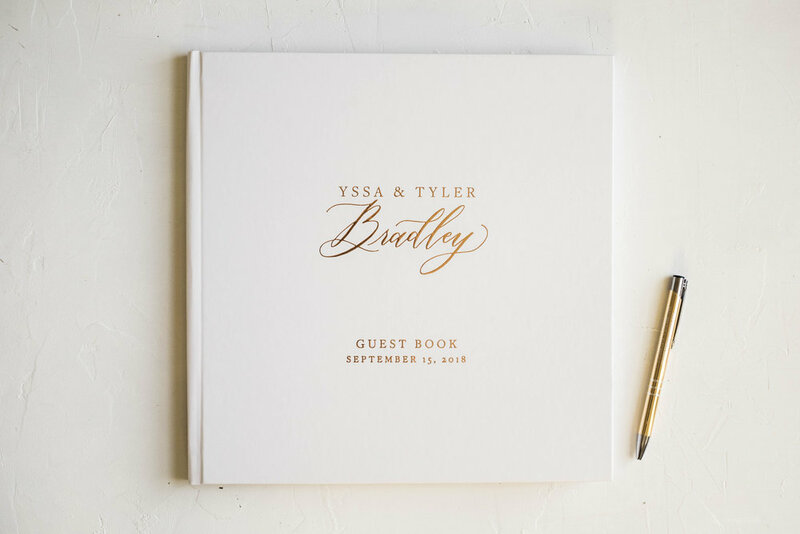 A wedding guest book in ivory cover with rose gold foil. 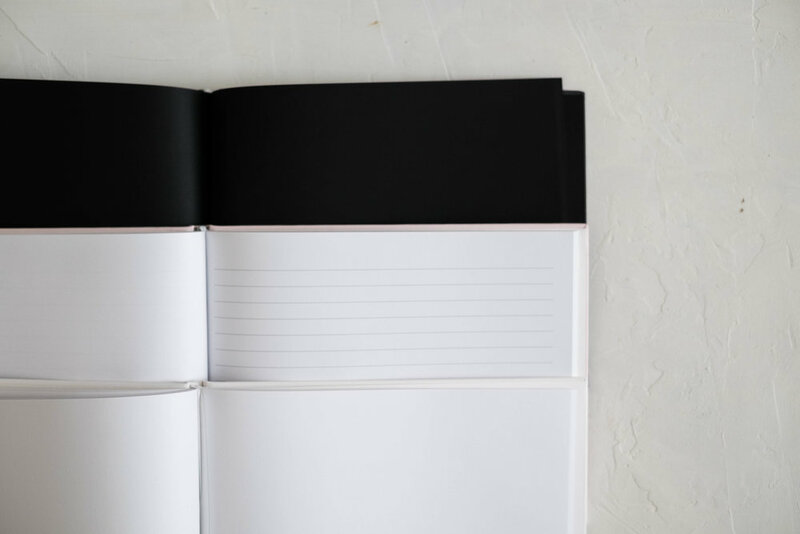 The book is case bound with velvety finish for a more elegant look. The last name is not a font, and will be handwritten. The spine of the book shows your name, and the back shows the date.